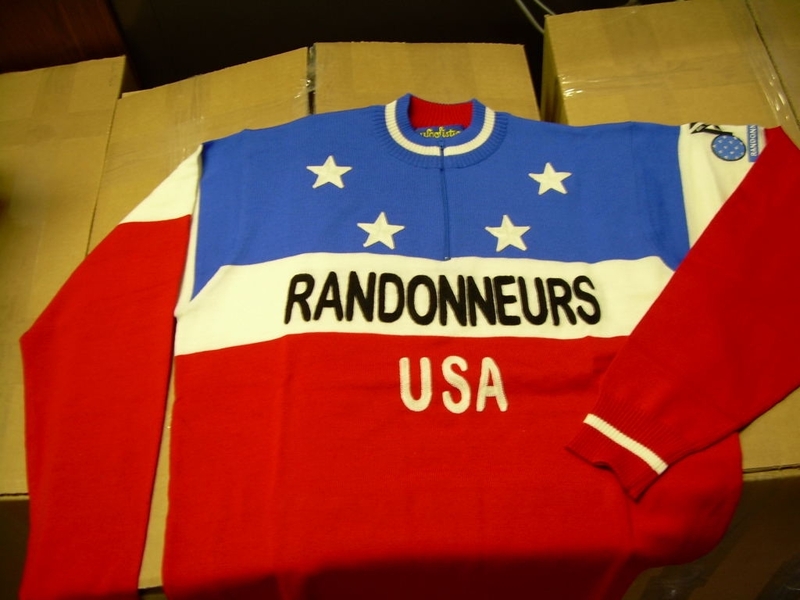 The ACP has let us know that they will accept Randonneur 5000 award requests this year. In the past, they have not done so in PBP years. The time period is tight. Please wait until official PBP results are posted. Also if you are using a 2007 Fleche, please wait until those certificate numbers are available on the RUSA website. Then send your application in to RUSA by 10/21 (or you can wait and apply in 2008). Announcing the Long-Awaited Arrival of the Official RUSA Wool Cycling Jersey! Beautifully made by United, this jersey comes in short-sleeve and long-sleeve in sizes M-L-XL-XXL for men. It also comes in short-sleeve and long-sleeve for women in sizes S-M-L. Sizing runs true to size. You can use the same sizing chart on the RUSA Souvenir website to determine your size for this jersey. Makes a great Mother's Day or Father's Day gift for the female or male randonneur in your household. Use the newly updated RUSA Souvenir Order Form to place your order today. A new version of the Rules For Riders document has been posted to the web site. These new rules immediately supercede the previous version. You can view the new rules HERE. Fancy yourself a fashion designer? Here's your chance to prove it. RUSA is looking for a new design for its PBP 2007 jersey. The member with the winning design will get bragging rights and a free jersey. The details: Entries showing the front and back of the jersey should be submitted as a PDF, JPG or TIFF file. Designs must be submitted by Dec. 15, 2006. Ortlieb is offering RUSA members a 15% discount on all products ordered from their website until 12/1/2006. See http://www.rusa.org/Download/OrtliebRUSAoffer.pdf for details. 3M has donated a generous supply of Scotchlite Reflective Adhesive Material, which Randonneurs USA is now offering to its members free of charge. For more information: http://www.rusa.org/Download/rusa-scotchlite.pdf. As mentioned in the February American Randonneur (which should be in mailboxes shortly), Bill Bryant is pulling off the front of the pace line of volunteers that has ably led Randonneurs USA since its inception in 1998. 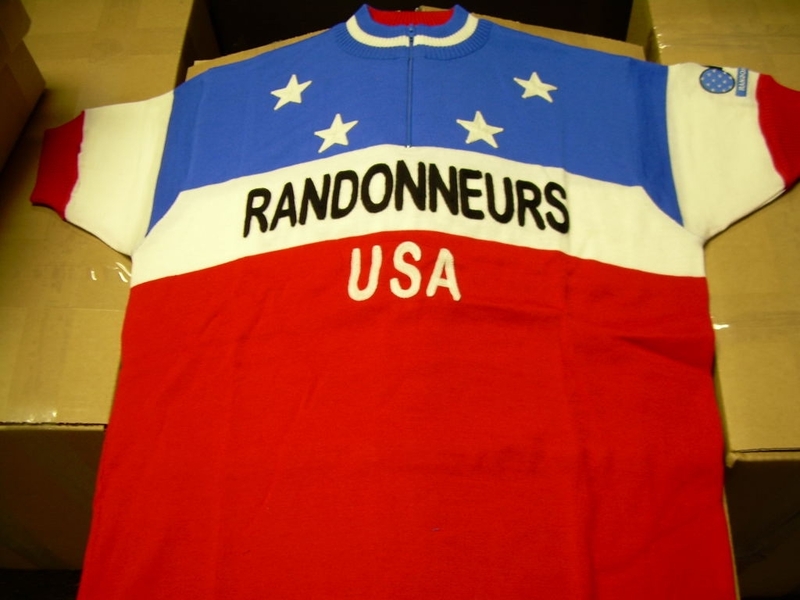 Randonneurs USA thanks Bill for his tireless service including a strong pull as RUSA President for the past two years. Bill will continue, as always, to devote substantial time and energy to RUSA and to the sport - serving as coordinator for the Fleches USA, administering various RUSA recognitions and awards, being a wise presence on the board, and mentoring many riders and volunteers. At its January meeting, the Board of Directors chose Mark Thomas to be the next RUSA President. The other officers for 2006 are John Lee Ellis (Vice President), Tim Sullivan (Treasurer), and Terry Zmrhal (Secretary). Together with the rest of the 2006 board (Bill, Don Hamilton, and Tracey Ingle) and the volunteers, they look forward to serving the organization and the sport in 2006. The Austin, TX brevet organizer Jean-Luc Friang has unexpectedly resigned and his 2006 dates have been cancelled. RUSA is interested in finding a new Austin-area RBA for 2007 and beyond.